6xxx series aluminum alloy is one of the ideal automotive lighting materials for its high strength, excellent formability, good corrosion resistance, and weldability. In this paper, the effect of pre-aging technology on microstructure and properties of 6111 aluminum alloy was investigated by using TEM, tensile, and Erichsen test. 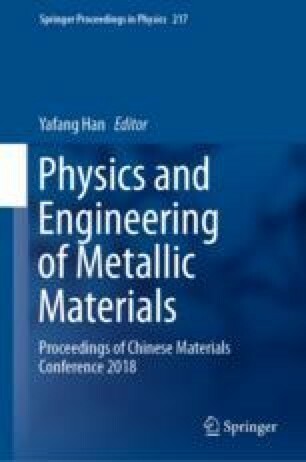 The results showed that better properties of 6111 alloy could be obtained through 140 °C/10 min pre-aging treatment within 30 min after solution treatment (named T4P treatment). The n, r, IE, and yield strength values of 6111-T4 alloy were 0.31, 0.62, 8.06 mm, and 149 MPa, respectively, while those of 6111-T4P alloy were 0.33, 0.76, 8.45 mm, and 133 MPa, respectively. After simulated paint baking at 170 °C/30 min, the yield strength of 6111-T4 and 6111-T4P alloys increased to 154 and 212 MPa, respectively. Compared with T4 treatment, the pre-aging treatment reduced precipitating temperature of β″ phase and promoted precipitation during simulated paint baking. Pre-aging treatment benefits press forming of automotive body sheet and enables strengthening of the materials after simulated paint baking.